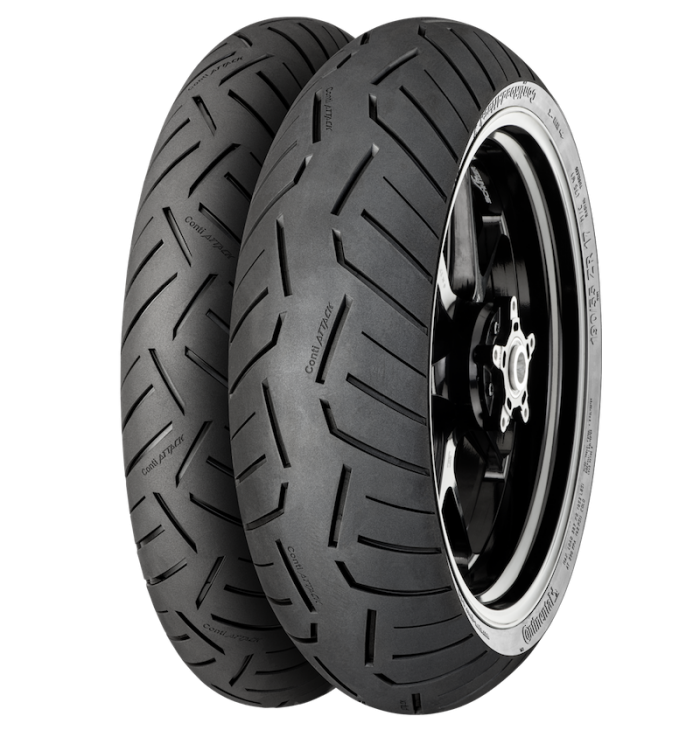 German tyre firm Continental has revamped its sport-touring tyre range for 2017, with a new RoadAttack 3 tyre. Aimed at both performance and distance road riders, the new rubber builds on the impressive performance of the outgoing RoadAttack 2 Evo, adding improvements all round. A new mould-release technology sounds pretty boring. But Continental say its TractionSkin system means the assembly line doesn’t need to use slippery release agents to get the tyres out of the moulds after they’ve been produced. That should mean less chance of an embarassing 4mph highside outside the tyre fitting shop (we’ve all been there…) It also means fast running-in, with the new tyre tread bedding in more quickly. The new tyres also feature MultiGrip tread construction for better wear in the tyre centre and more grip on the edges. Unlike other firms, Continental doesn’t use different compounds to achieve this – rather, they use variable heating while the tyre cures, to give the single tread compound different characteristics in the centre and on the edges. Clever stuff. Add in a new ‘RainGrip’ wet-weather compound for better performance in the rain, and a zero-degree steel belt carcass construction, and you have the recipe for a grippy, stable, agile and longer-lasting design.